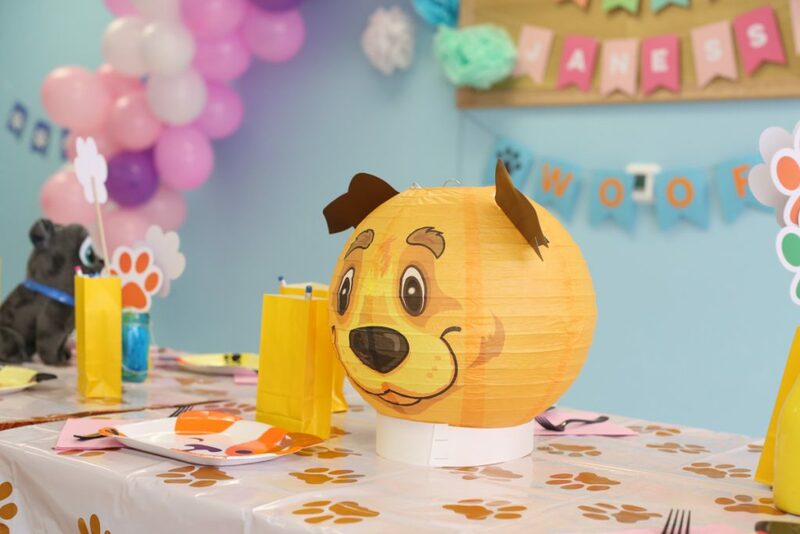 Is your child a Puppy Dog Pal fan or maybe just a dog person? 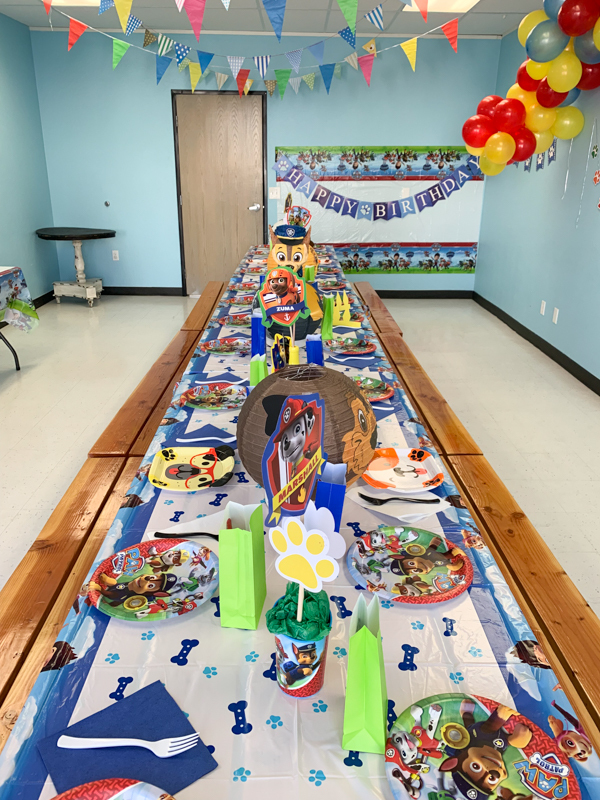 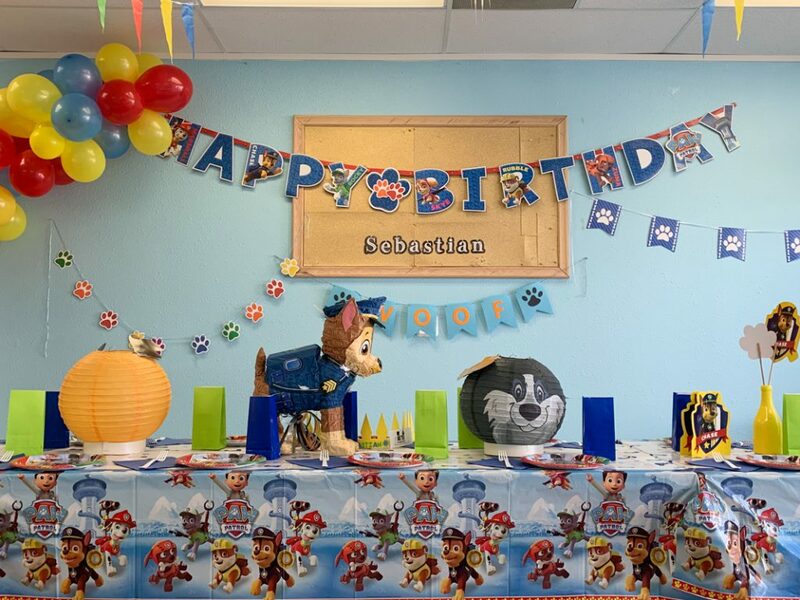 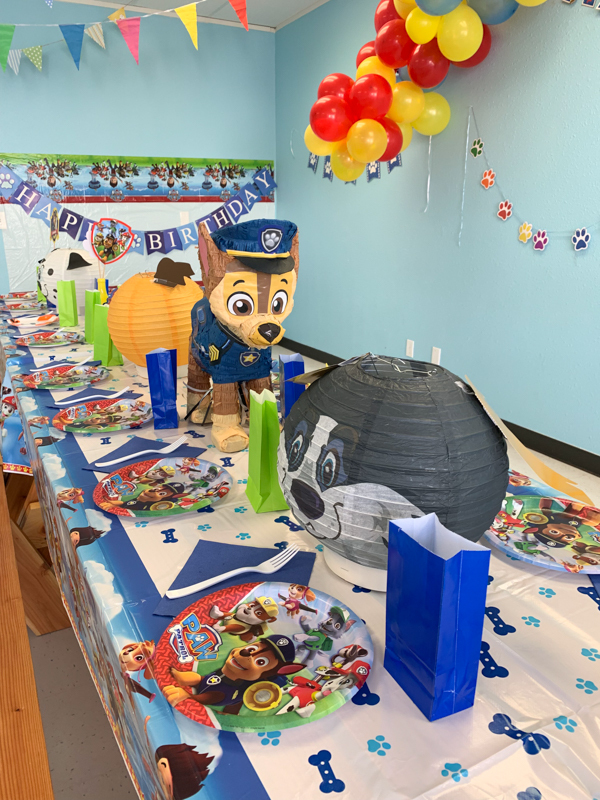 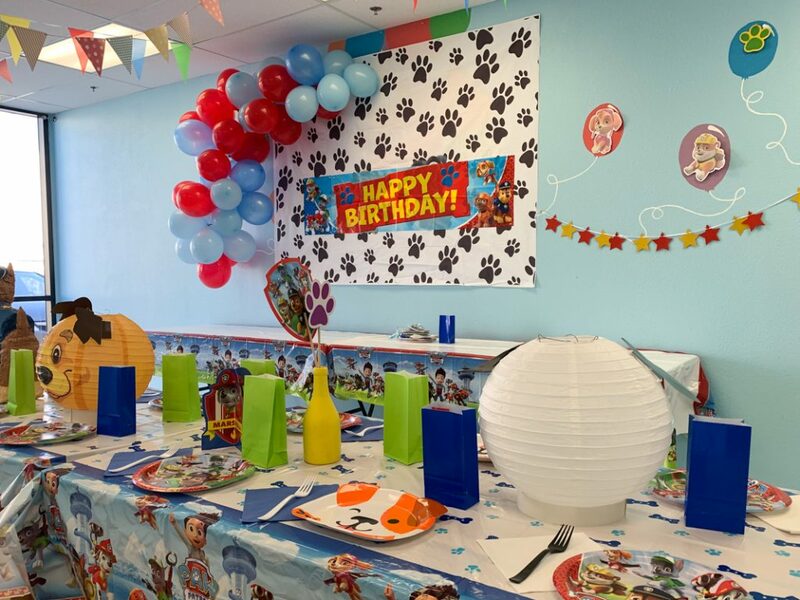 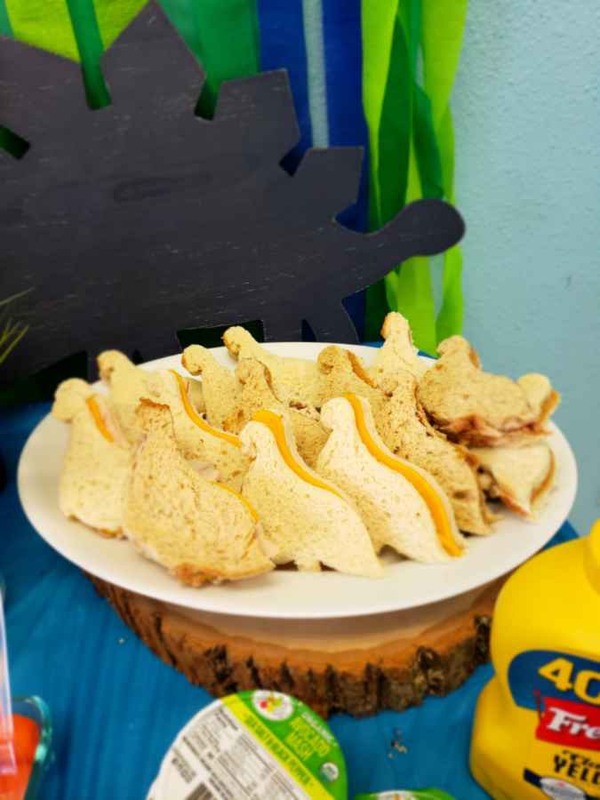 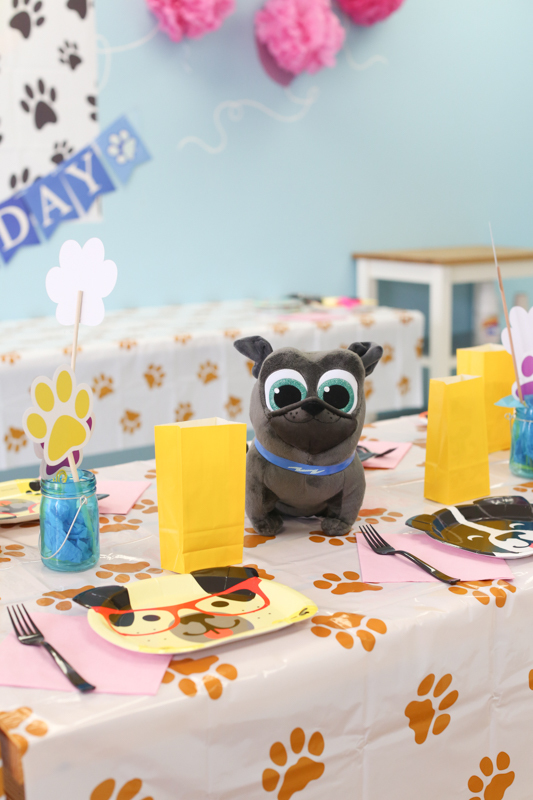 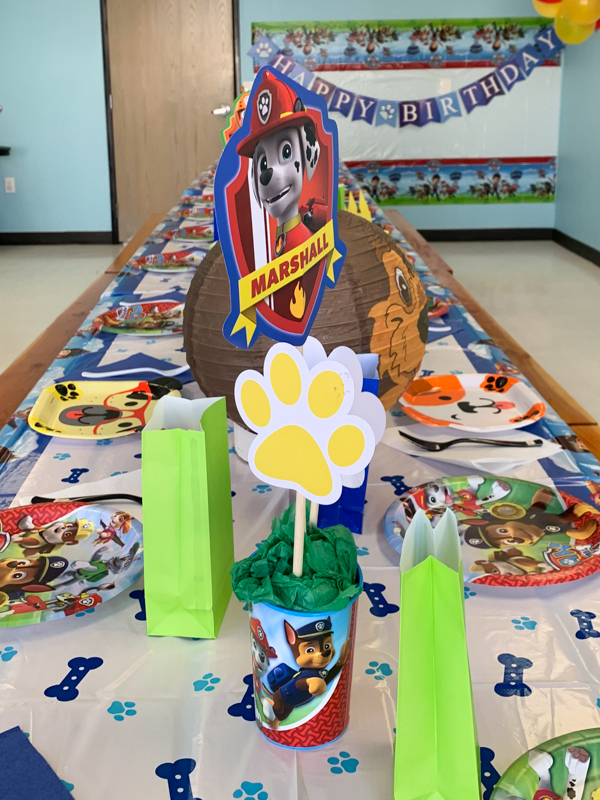 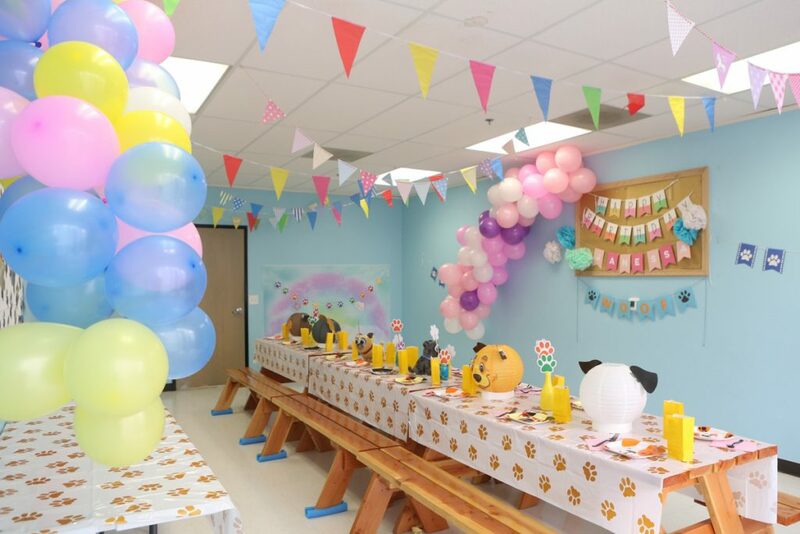 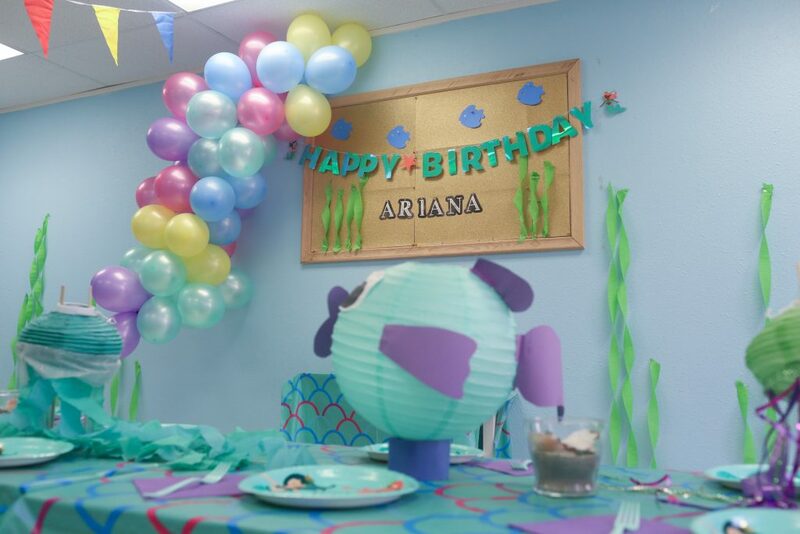 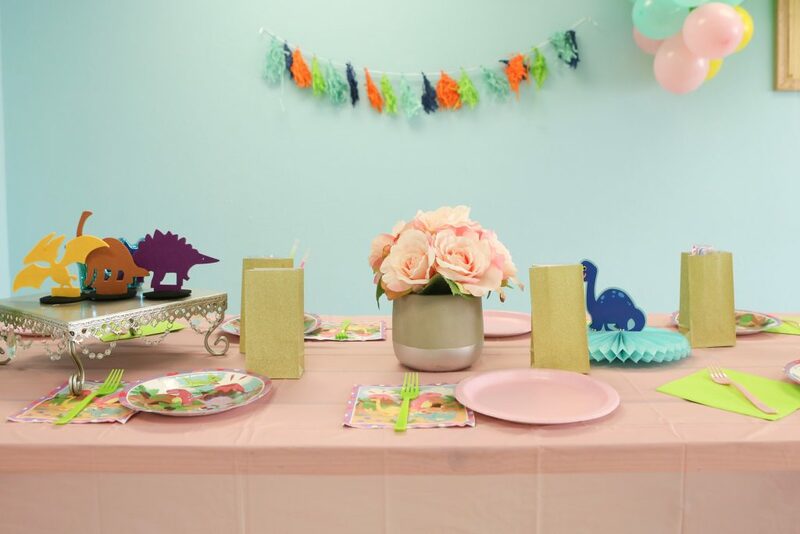 We love this Puppy Dog Pal Party we created for a lover of furry friends. 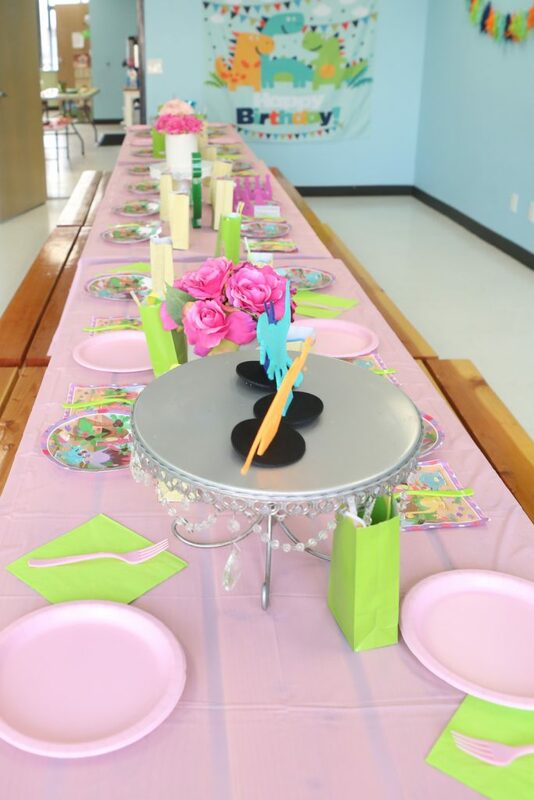 For the birthday girl, we did a mixture of feminine colors. 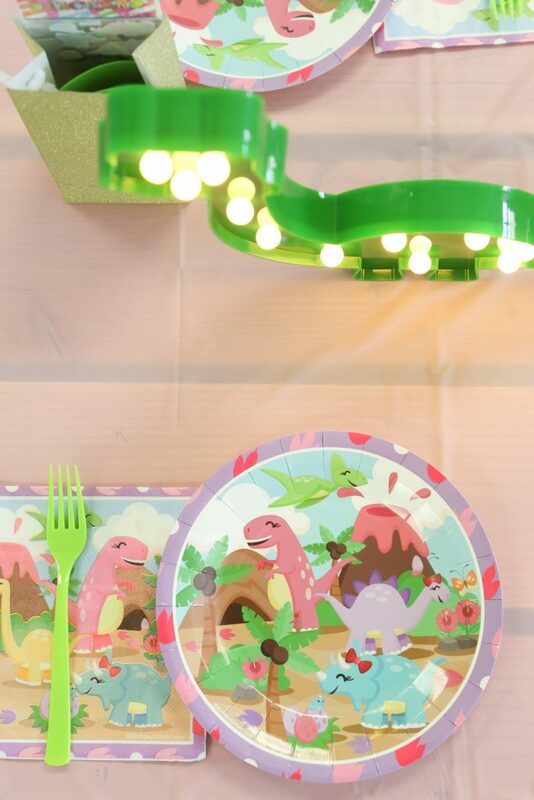 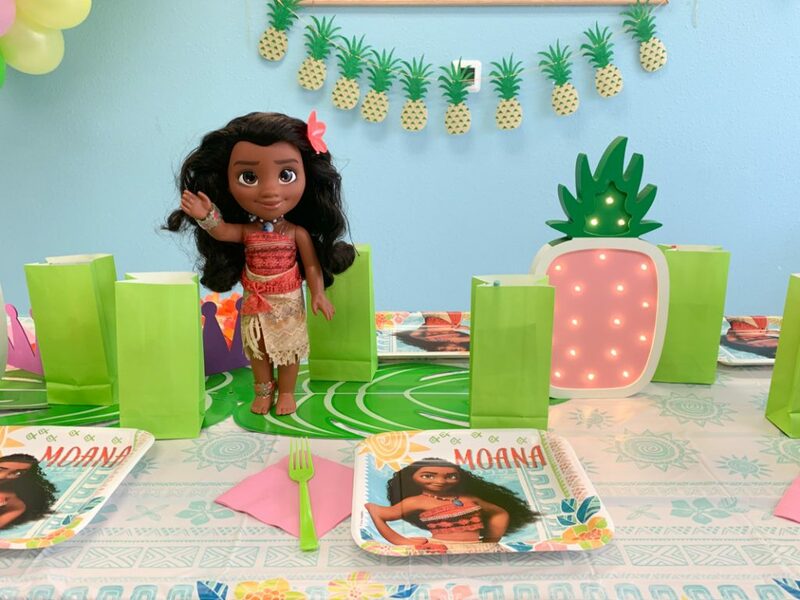 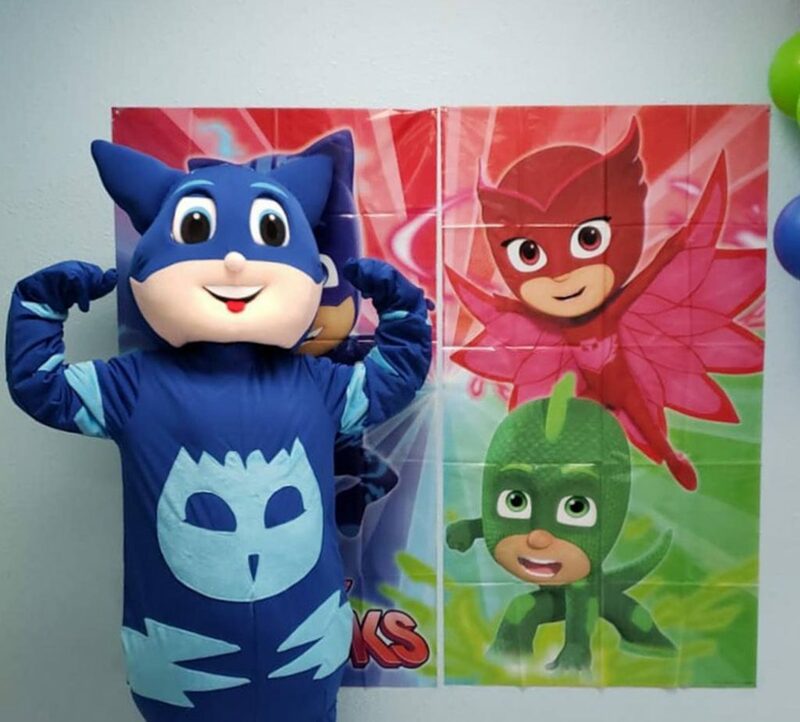 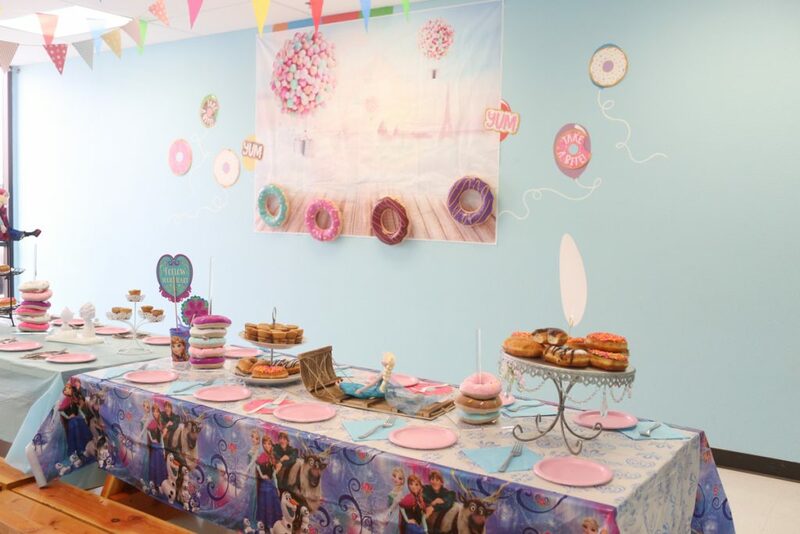 Our backdrop for the food tables included two large decals to intergrade the themed characters. 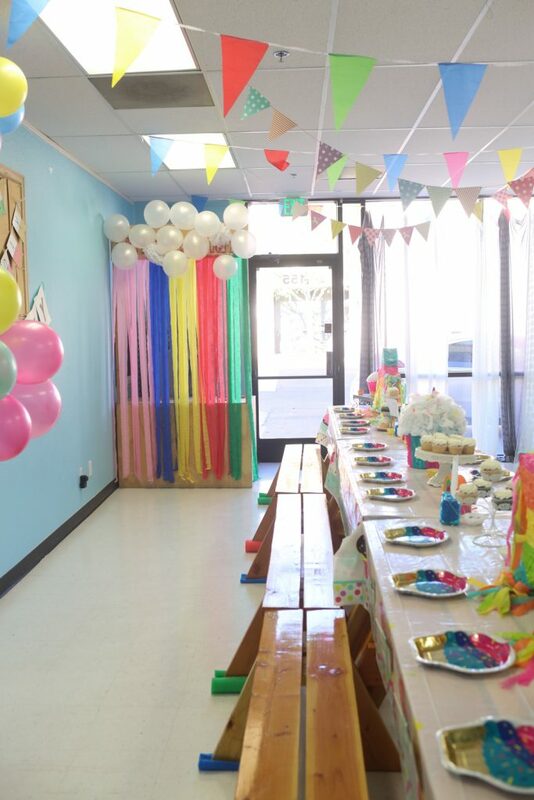 The walls were adorned with our infamous balloon arches, some pom poms and paw prints. 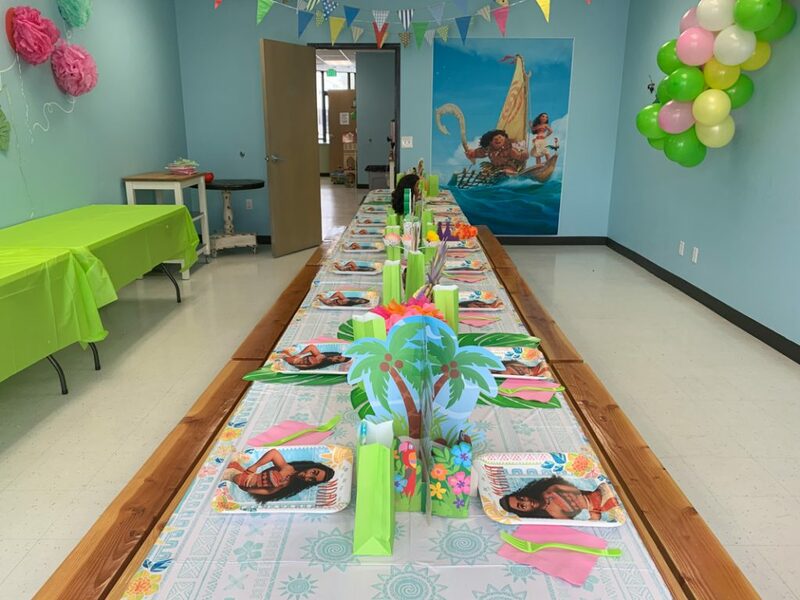 As always, we set the tables for our themed parties. 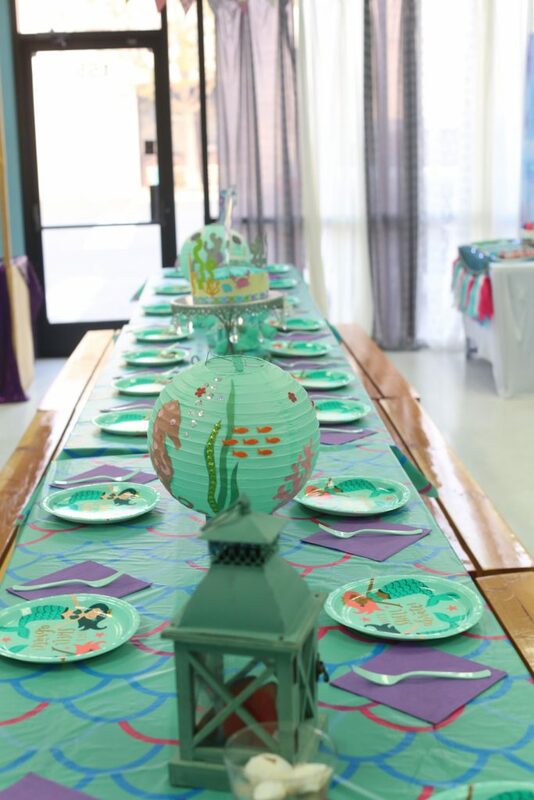 This table scape included puppy dog plates, and the cutest puppy dog lanterns. 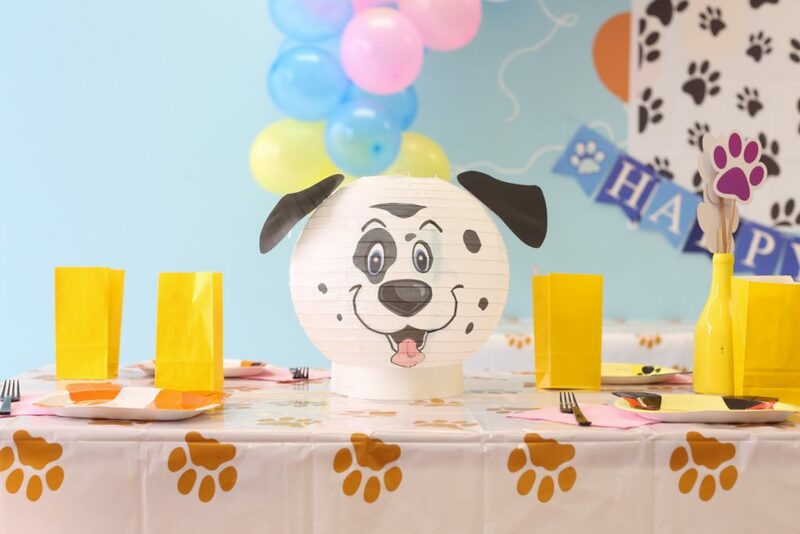 We have four different species of dogs. 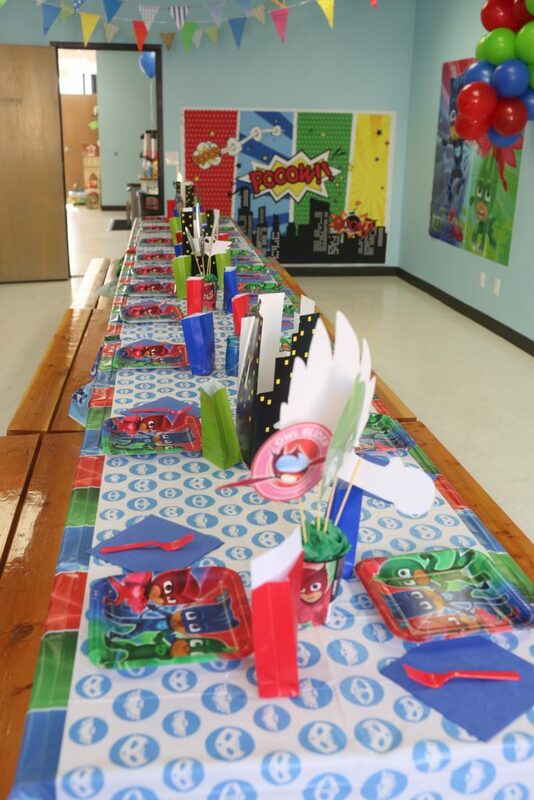 Our center table sat two of the main characters. 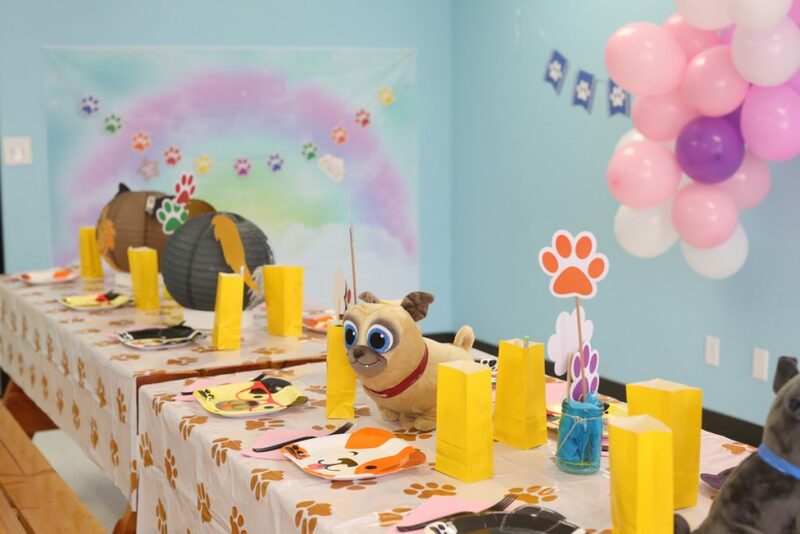 They looked happy to be at the Puppy Dog Pal party. 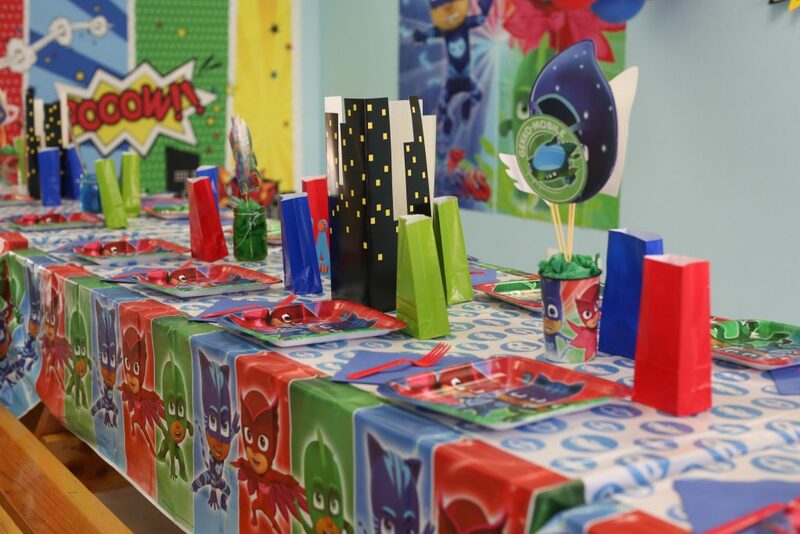 Each plate setting received a goodie bag. 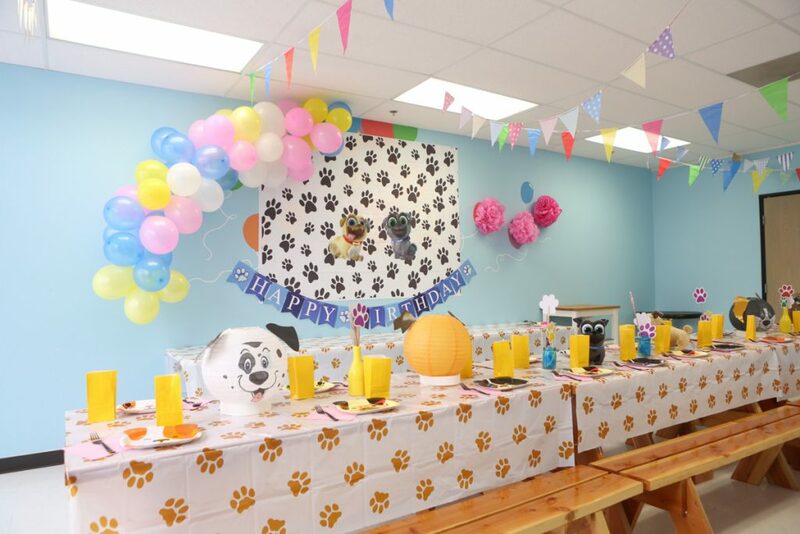 We filled some of the empty spots with some dog prints and a dog print garland for our photo backdrop. 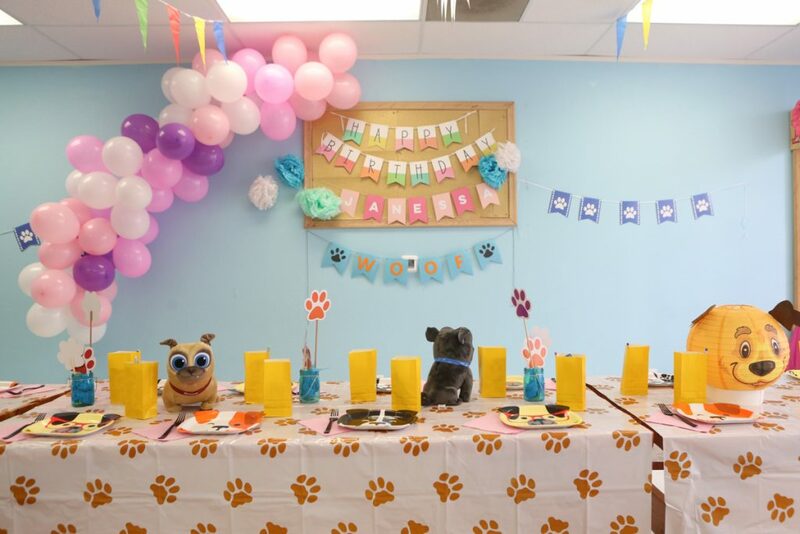 This pawty was woof-tastic and we can’t wait to do another. 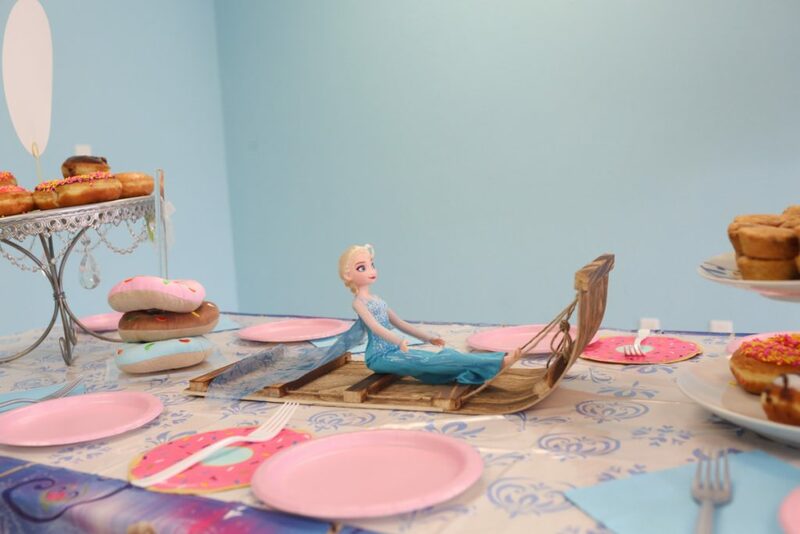 The Frozen party is still well loved and at Imagine Play. 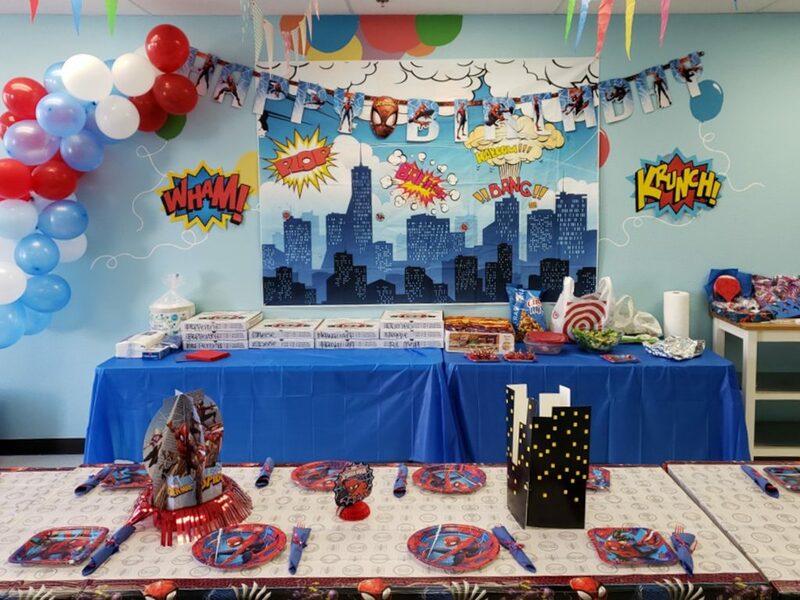 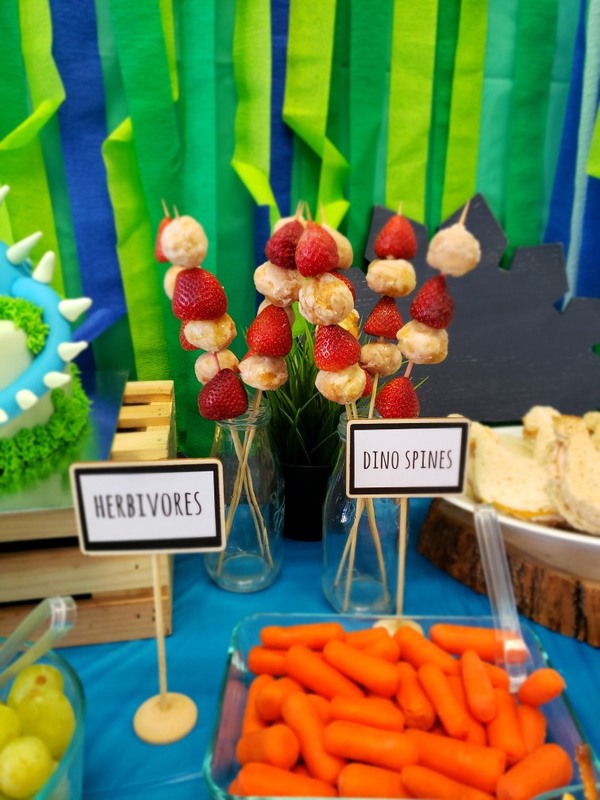 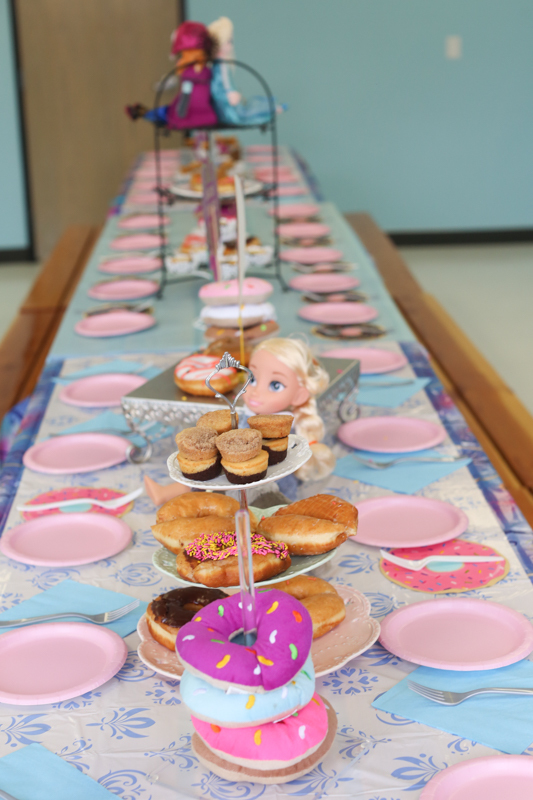 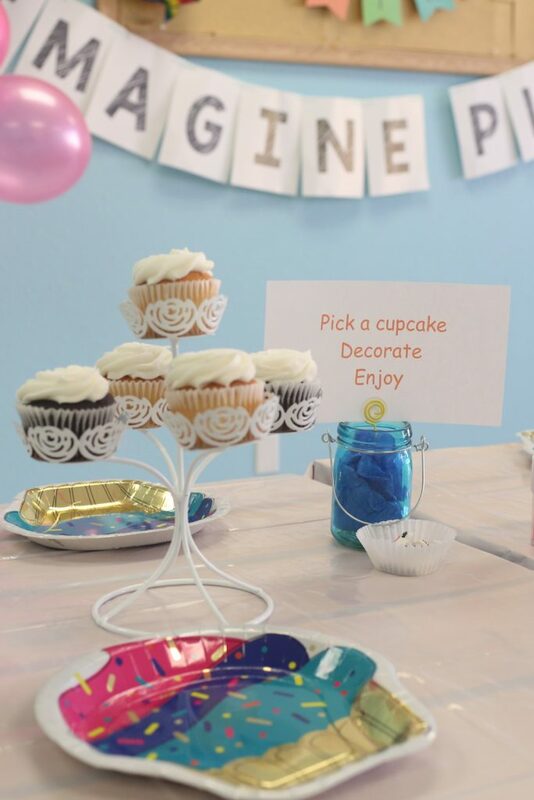 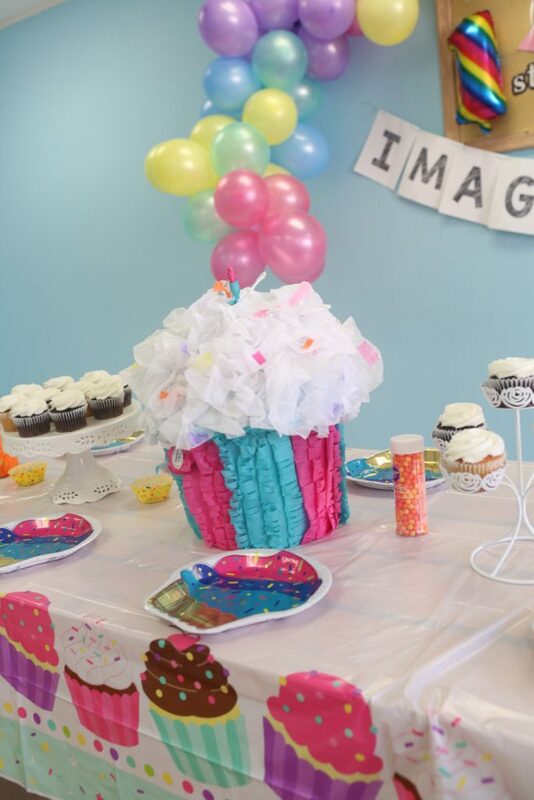 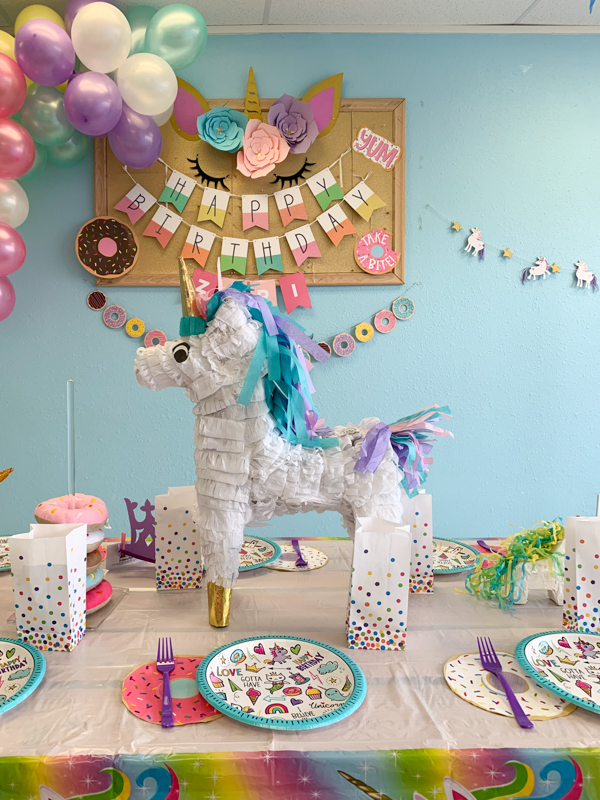 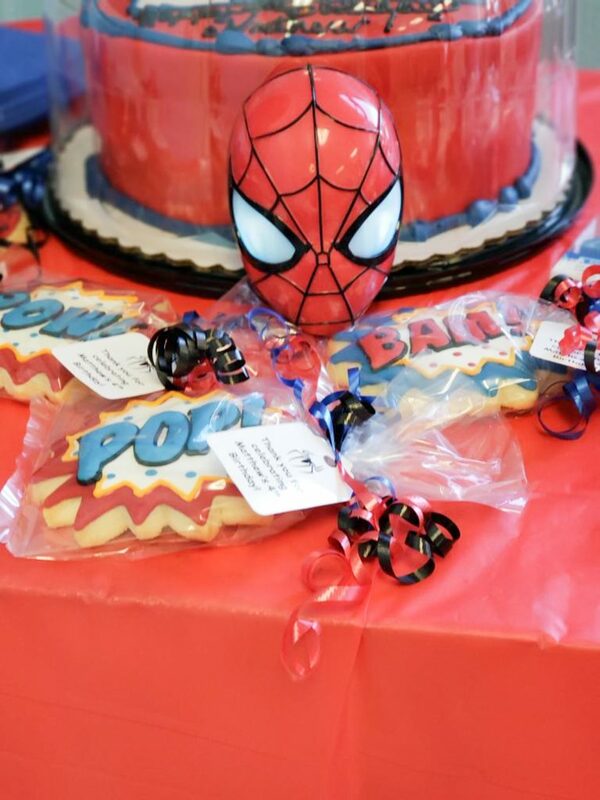 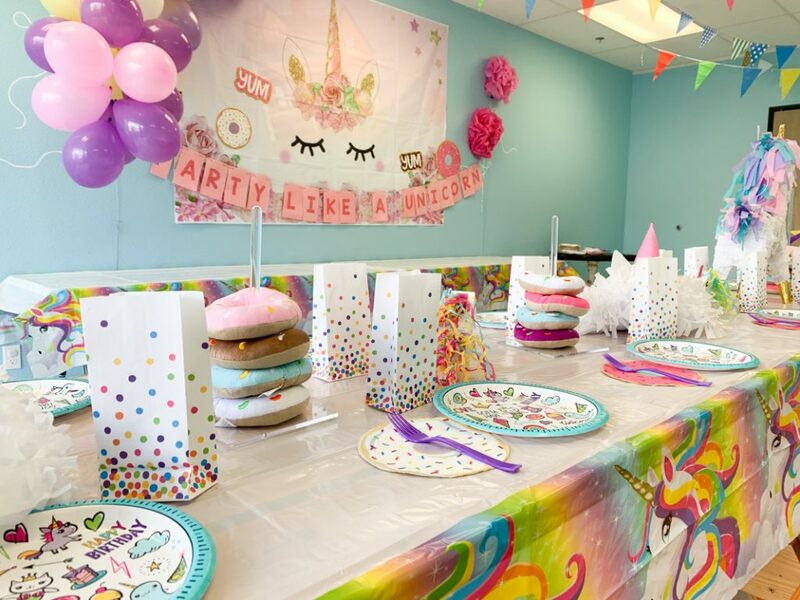 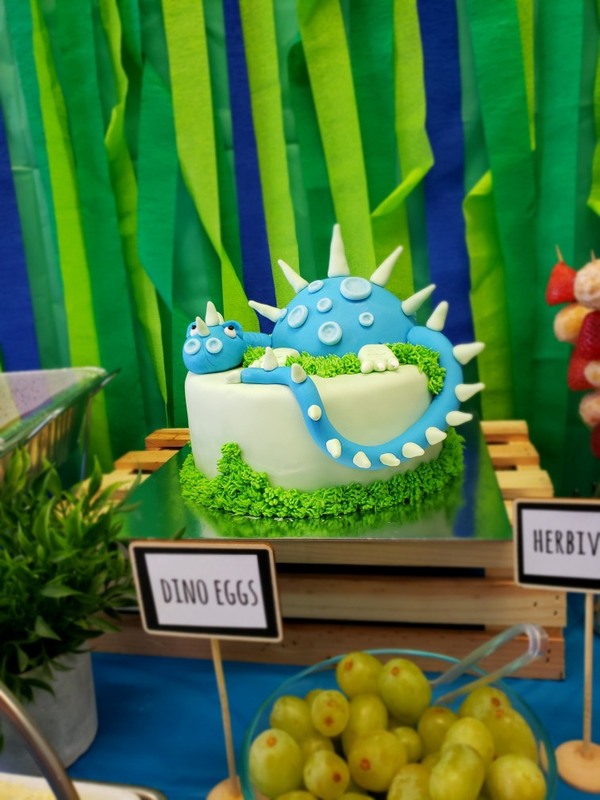 In this children’s party we teamed our most popular themed with a sweet treat, Donuts! 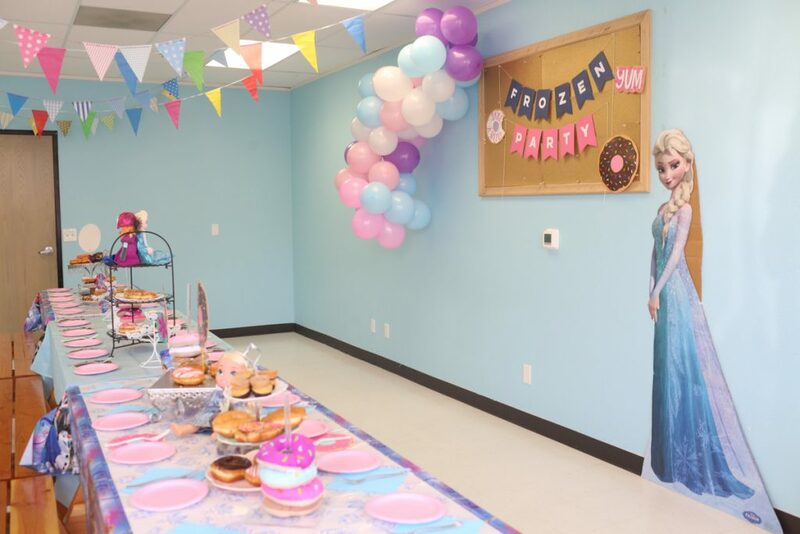 Our themed colors of blues, pinks and purple highlighted our ice princess and donuts beautifully. 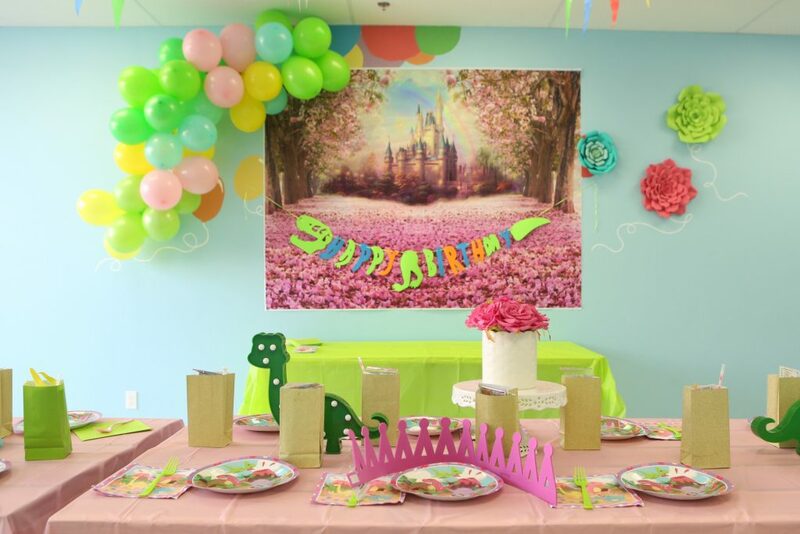 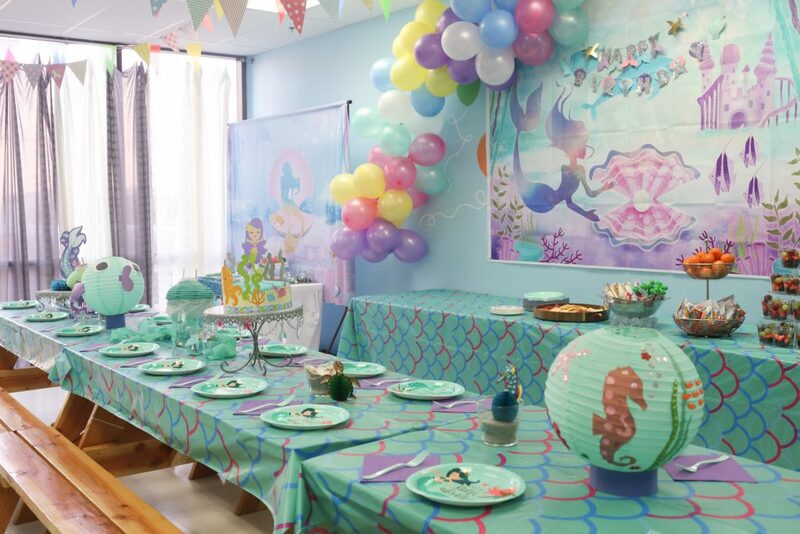 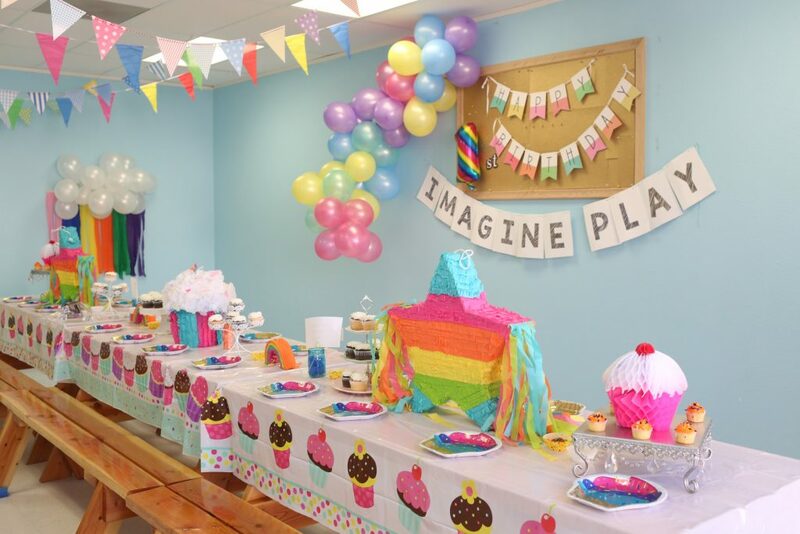 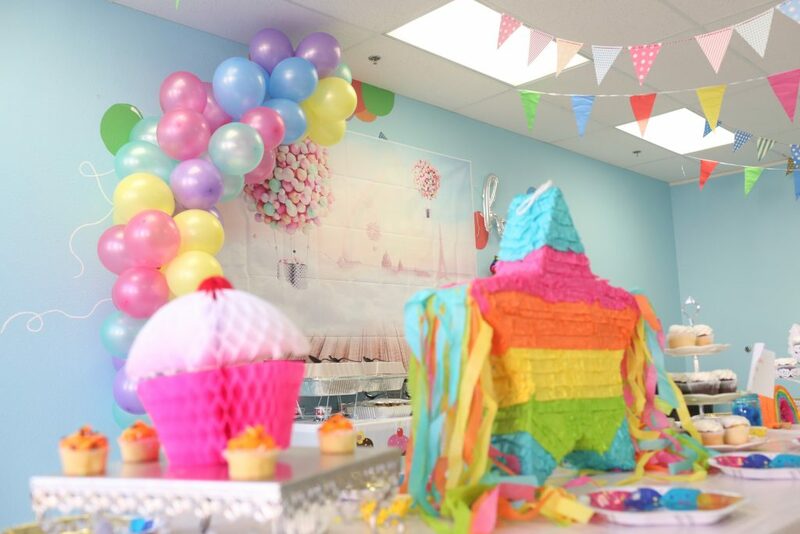 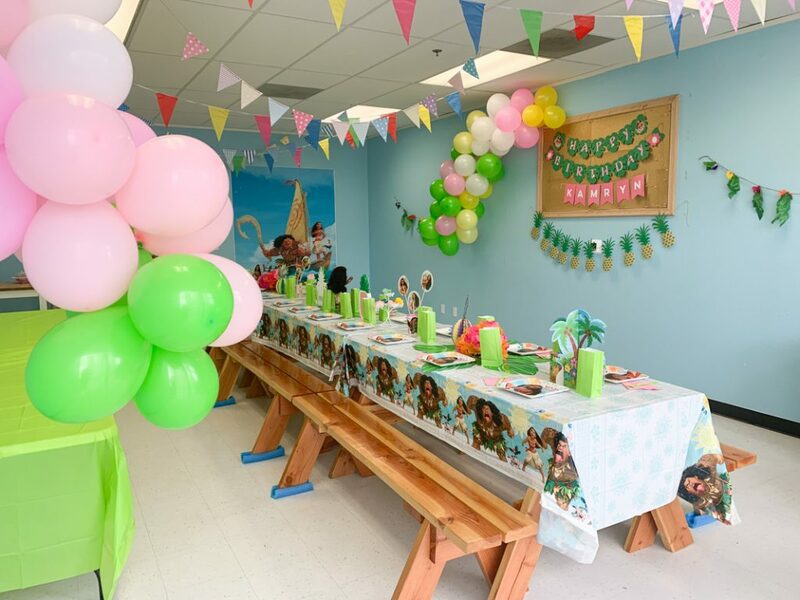 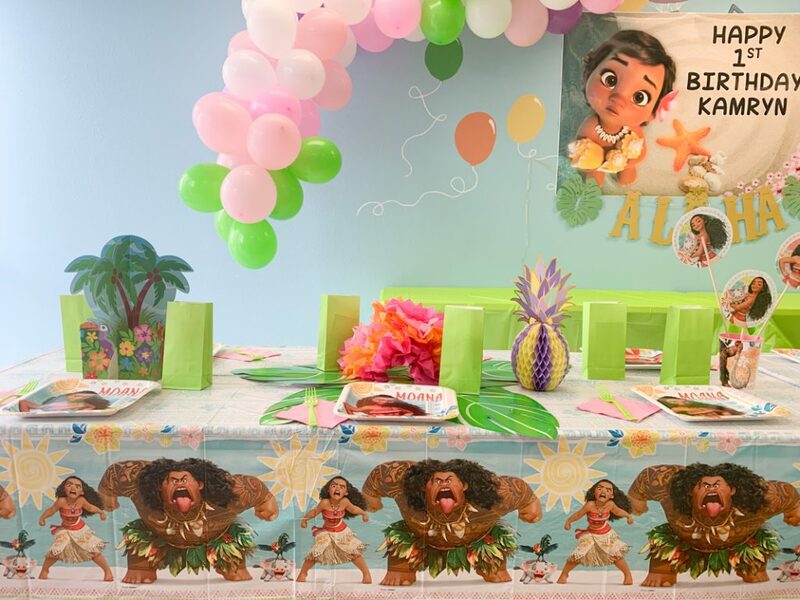 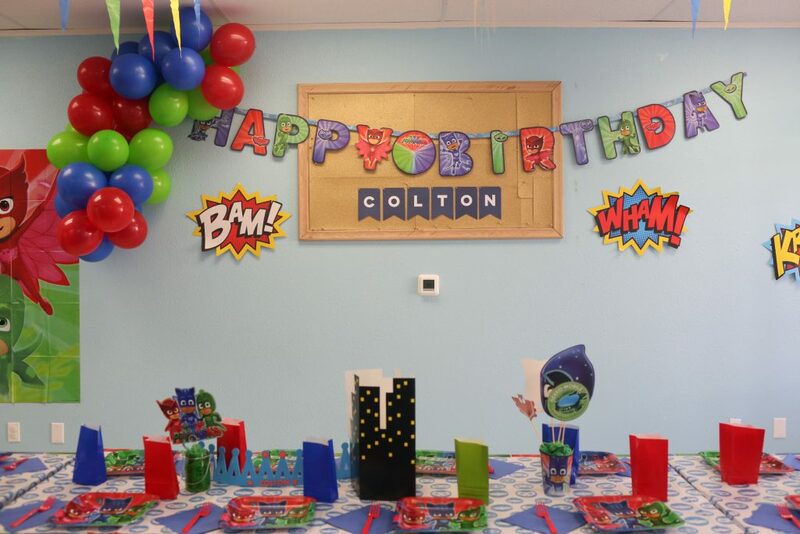 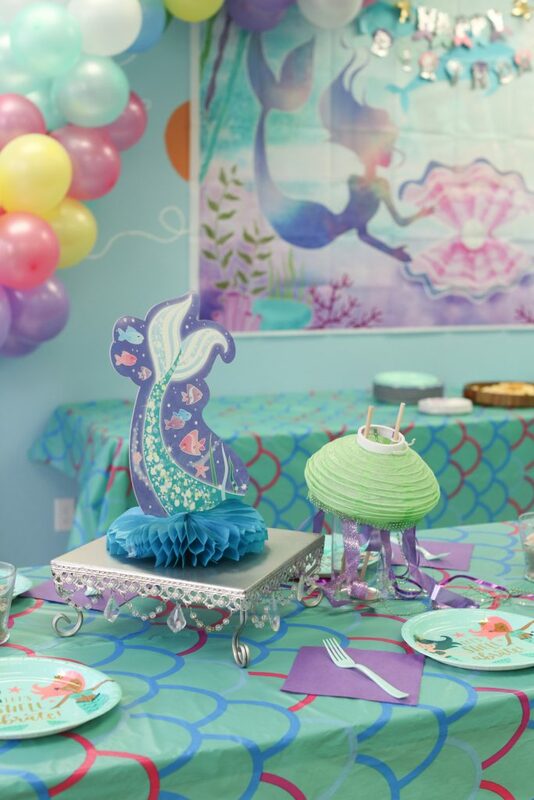 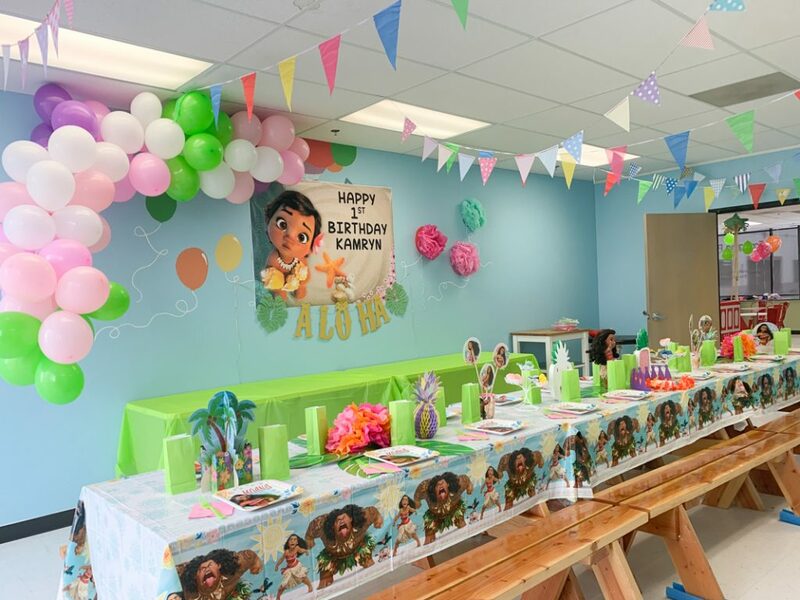 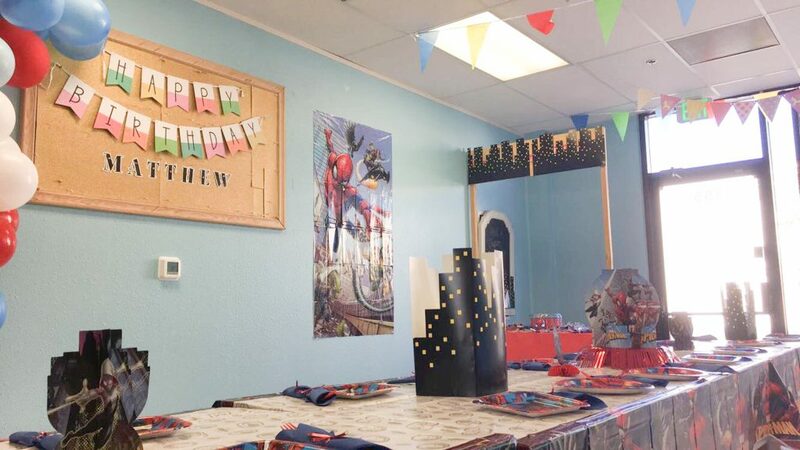 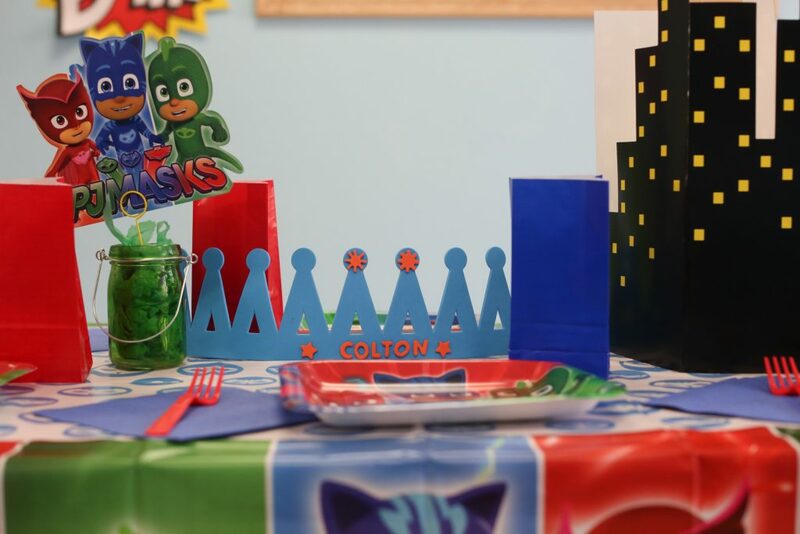 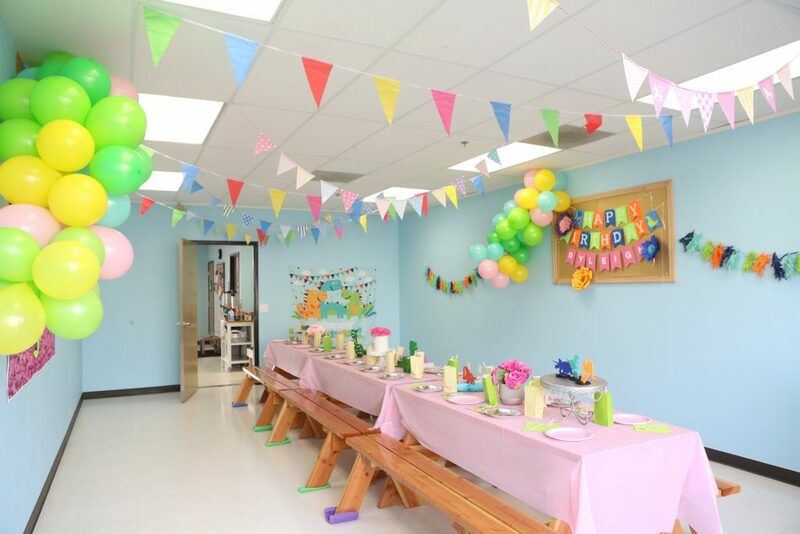 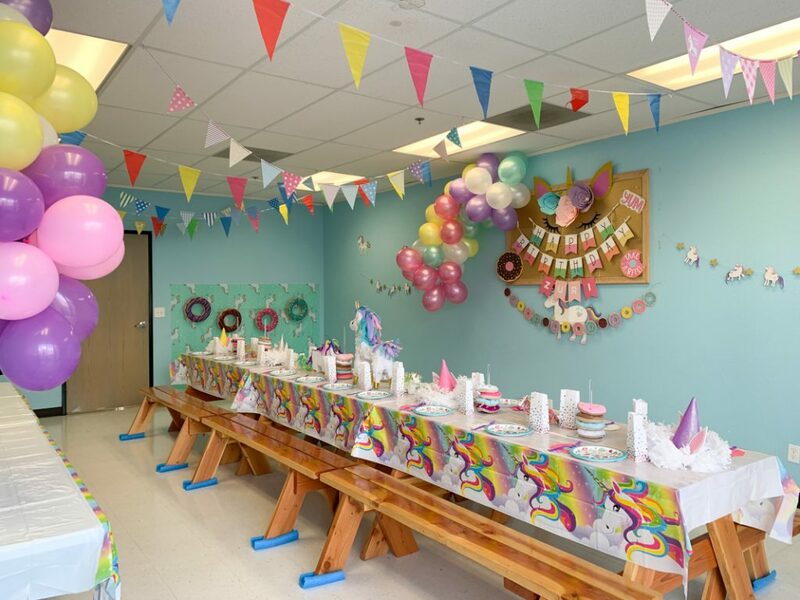 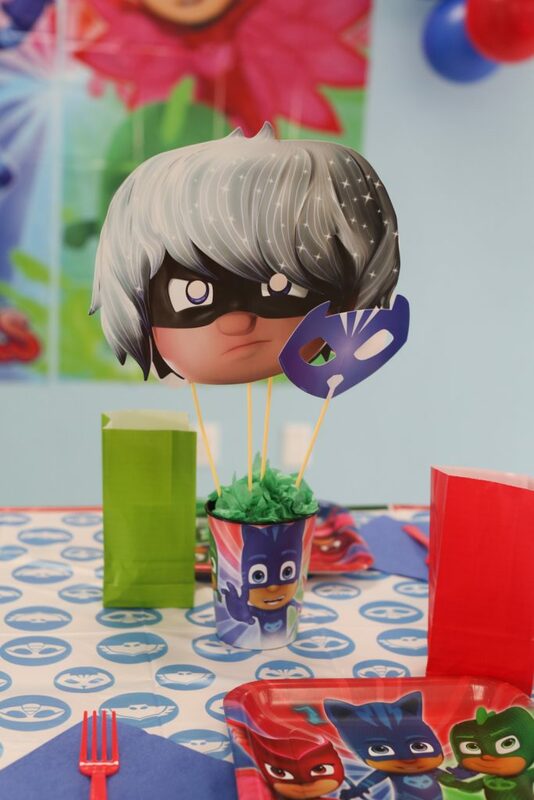 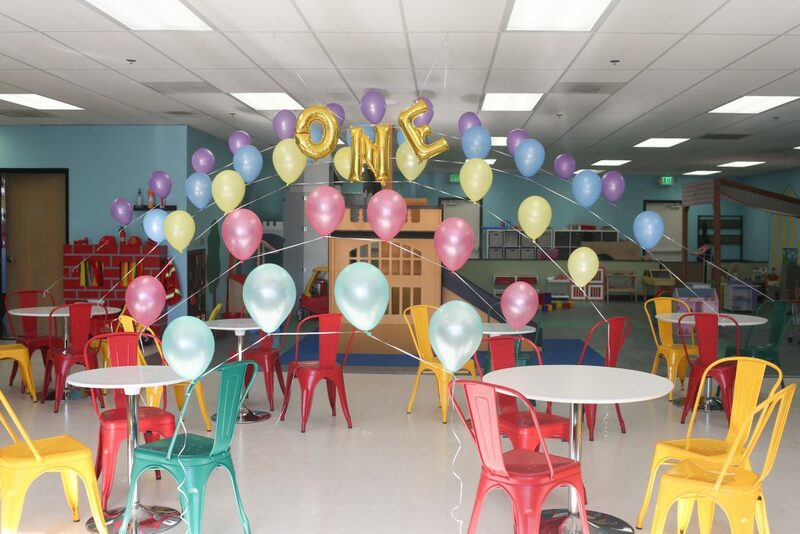 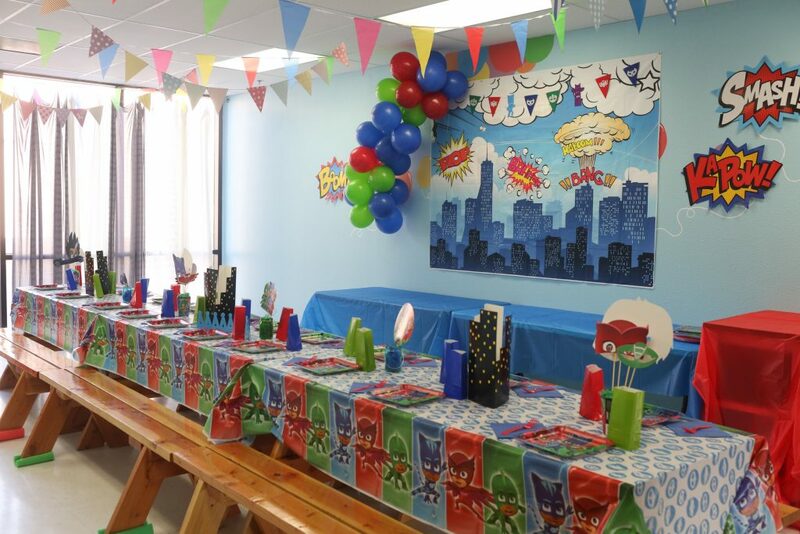 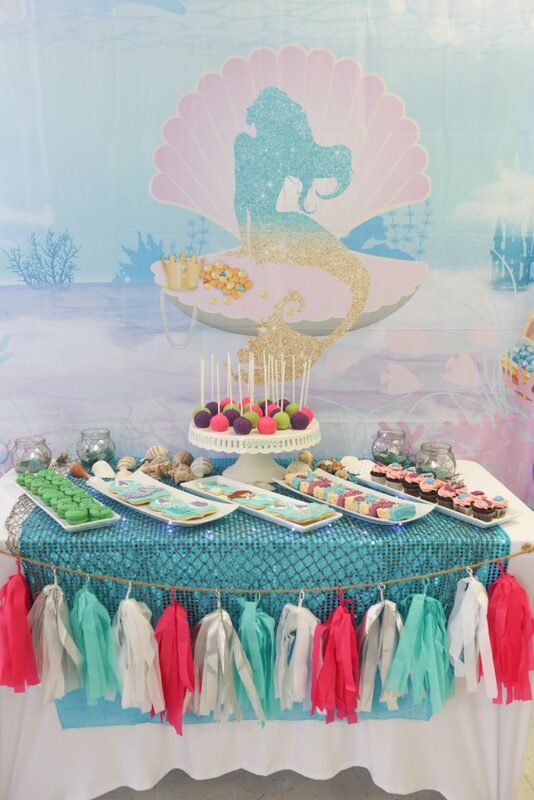 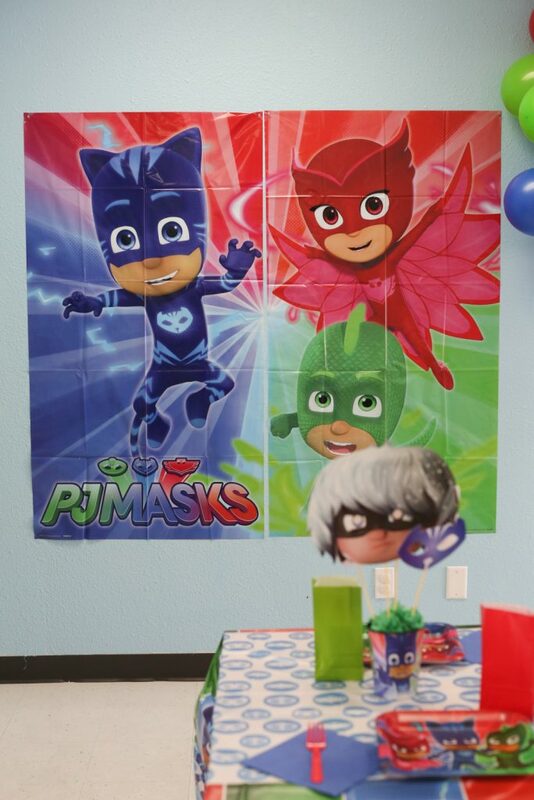 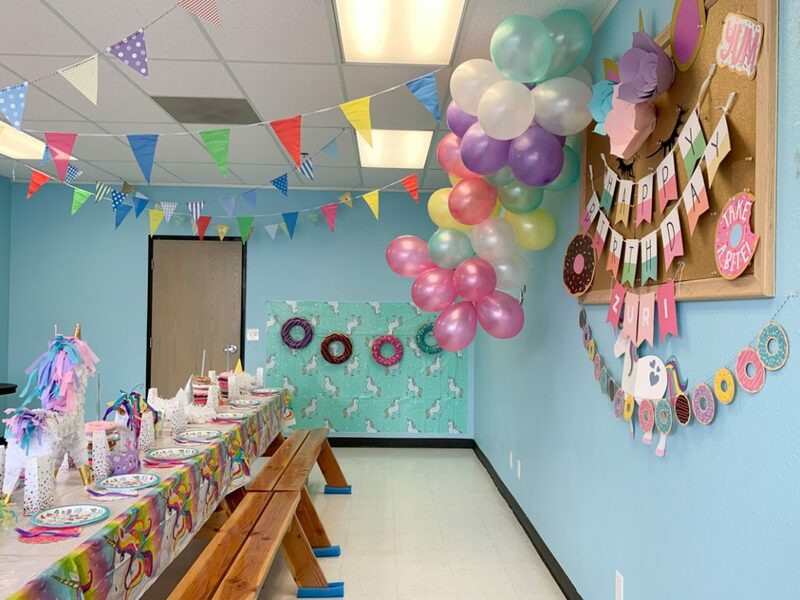 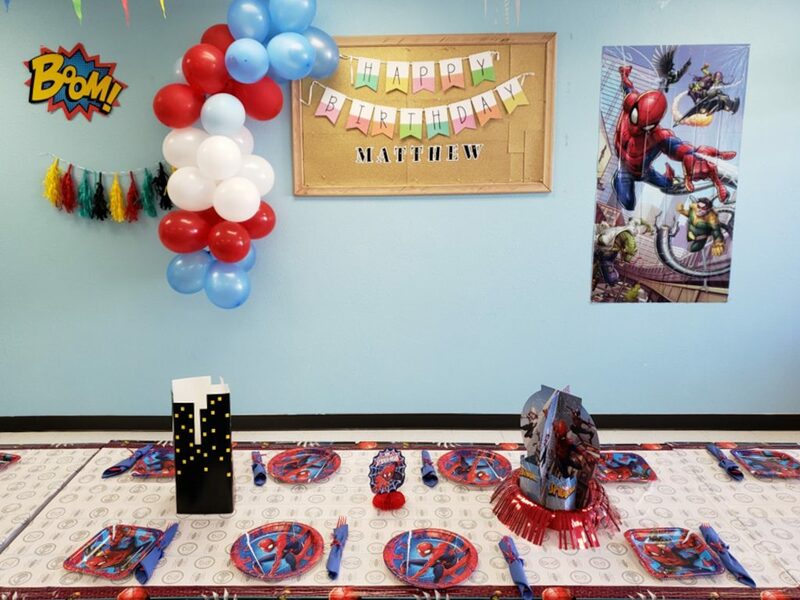 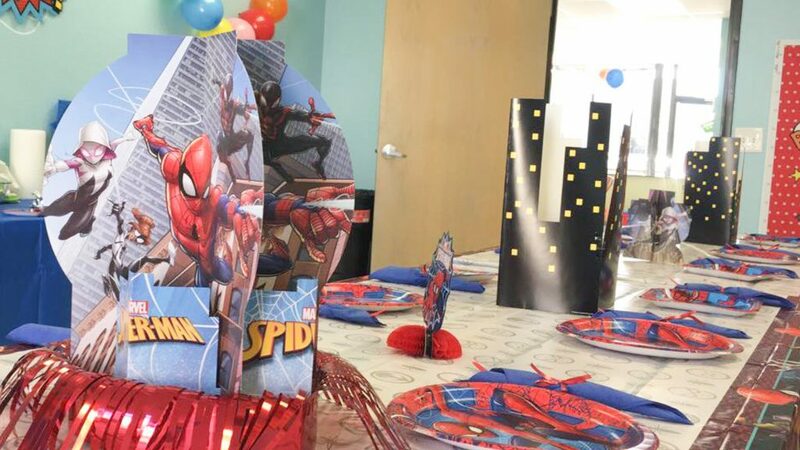 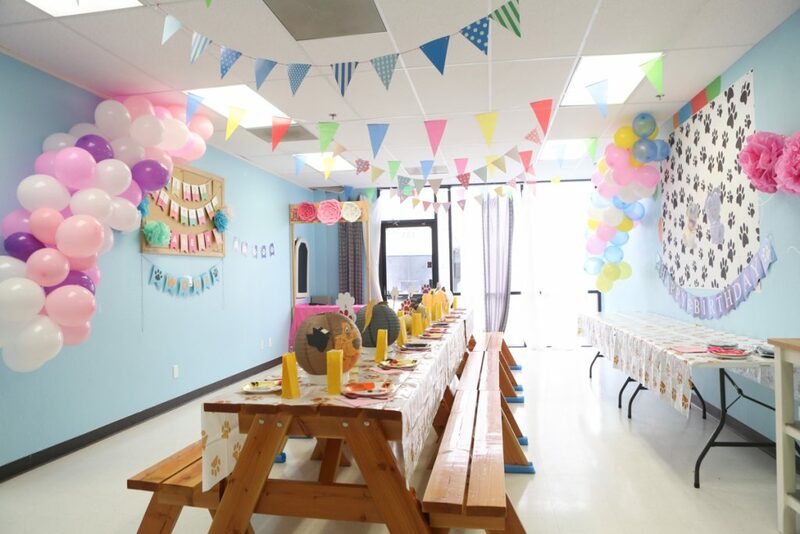 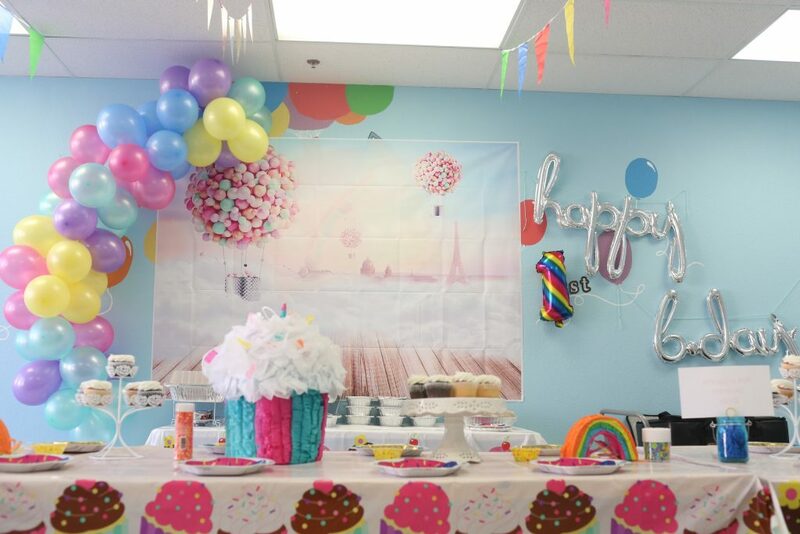 As always we included our signature themed party decor such as our balloon garland and party banner. 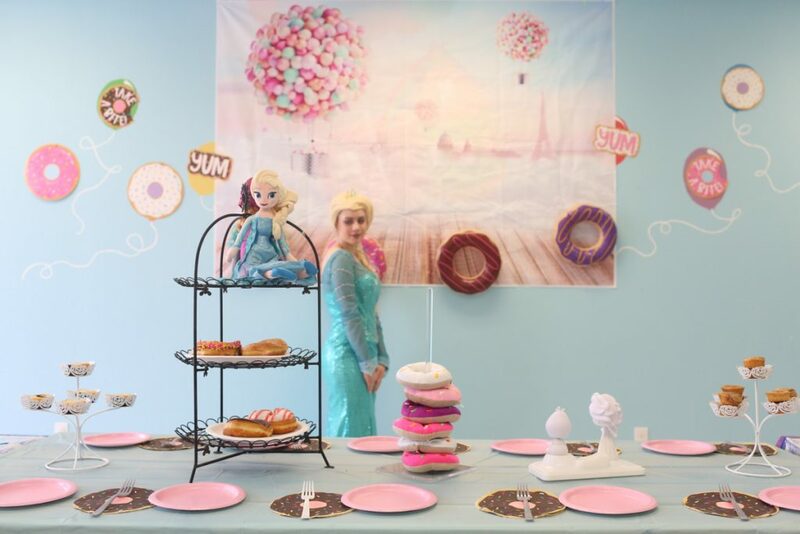 Some of our favorite items from this Frozen party are these plush donuts with stands. 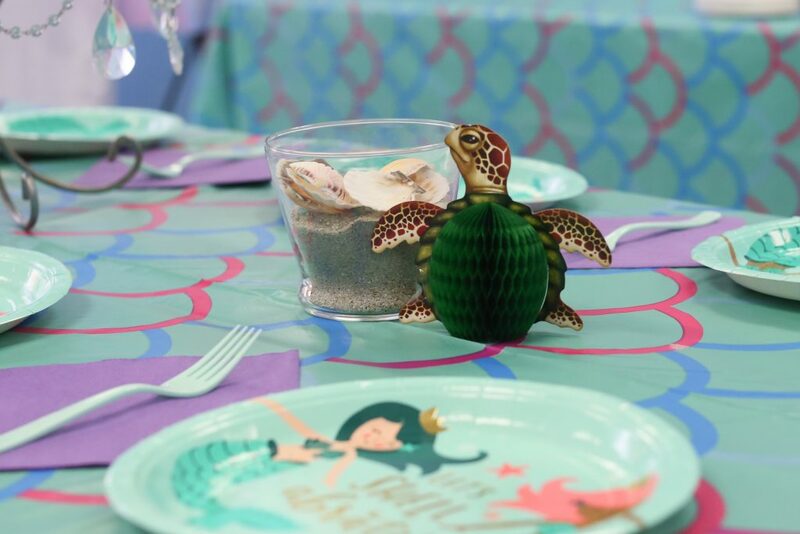 We had several table decor dolls, but our favorite is this doll on a Tobago. 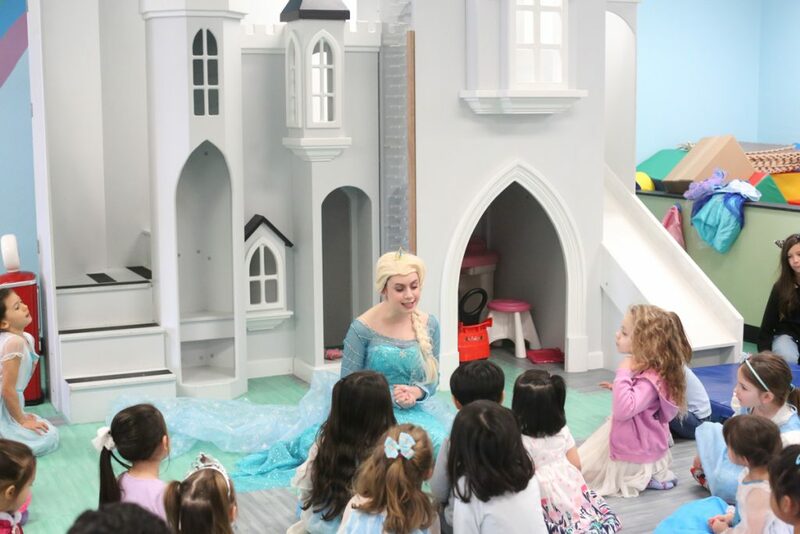 This party included a real life ice princess too! 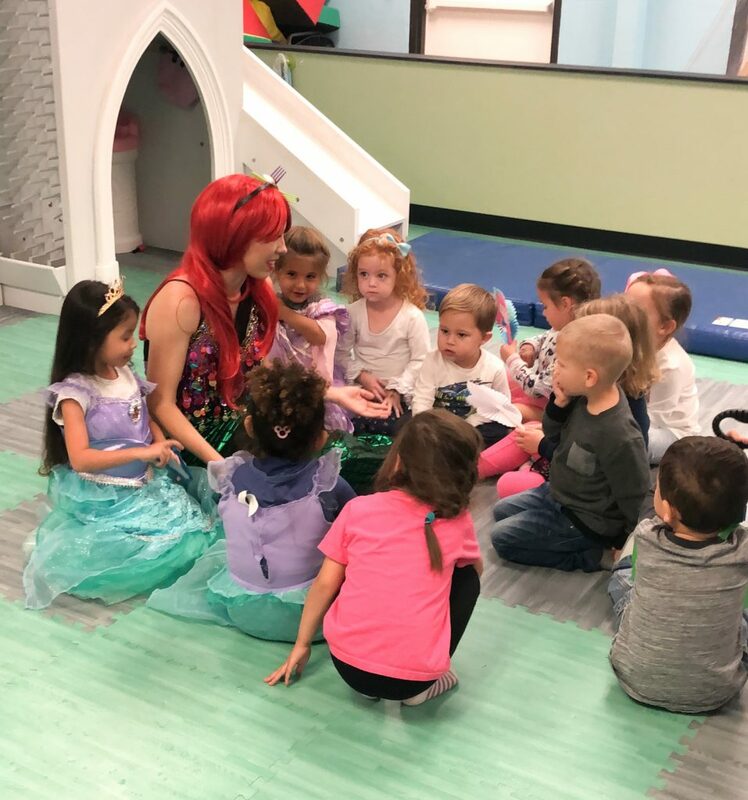 She told the kids a story, sang a song, showed them a trick and taught them a princess dance. 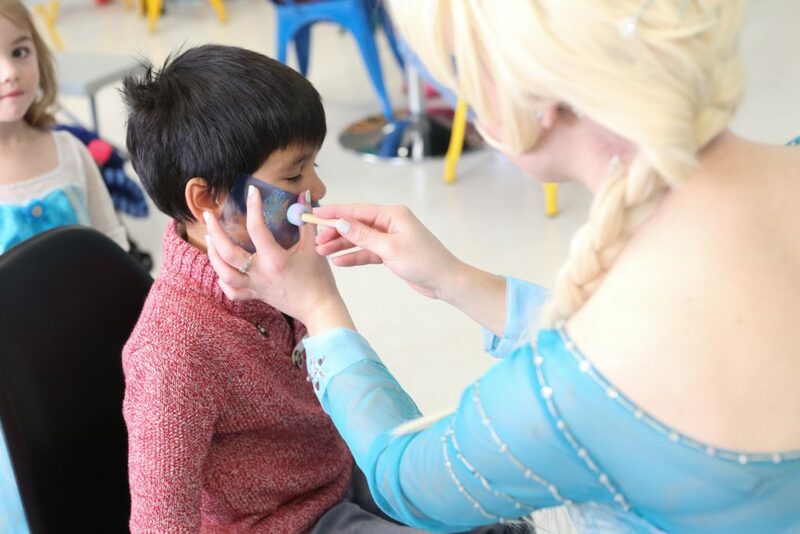 Face painting and a snowflake craft ended our donut party. 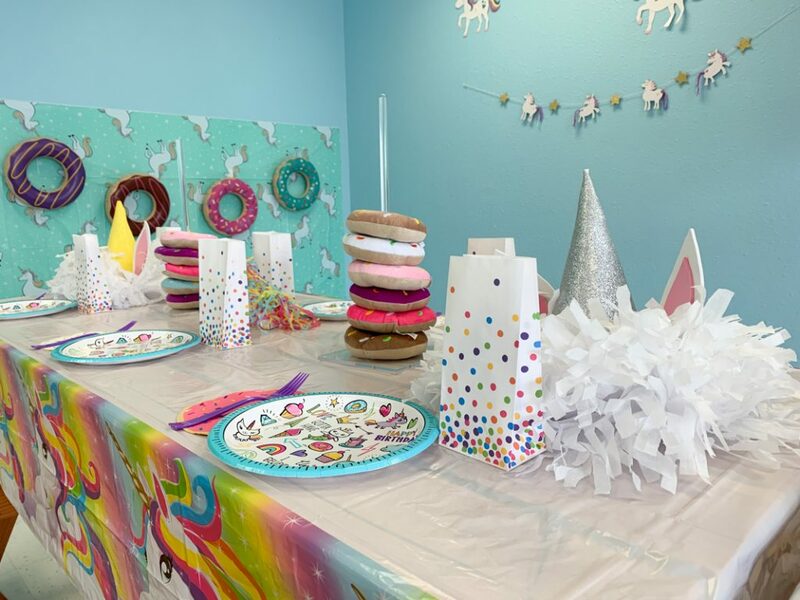 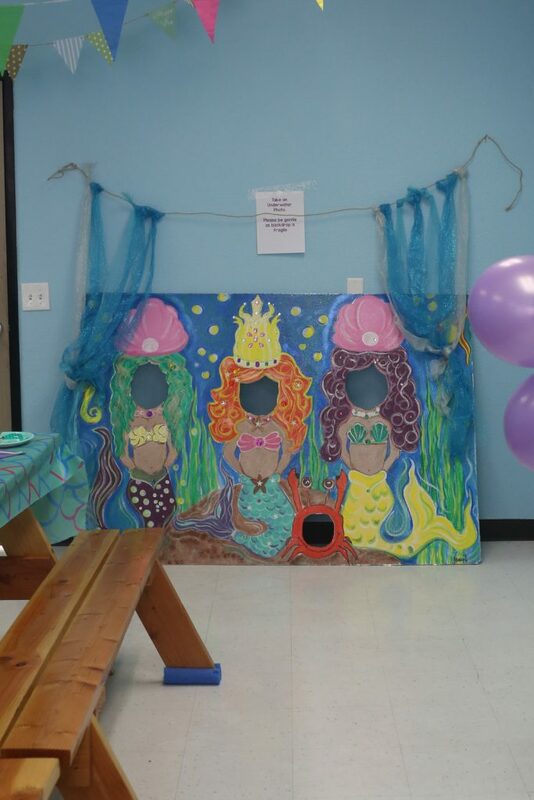 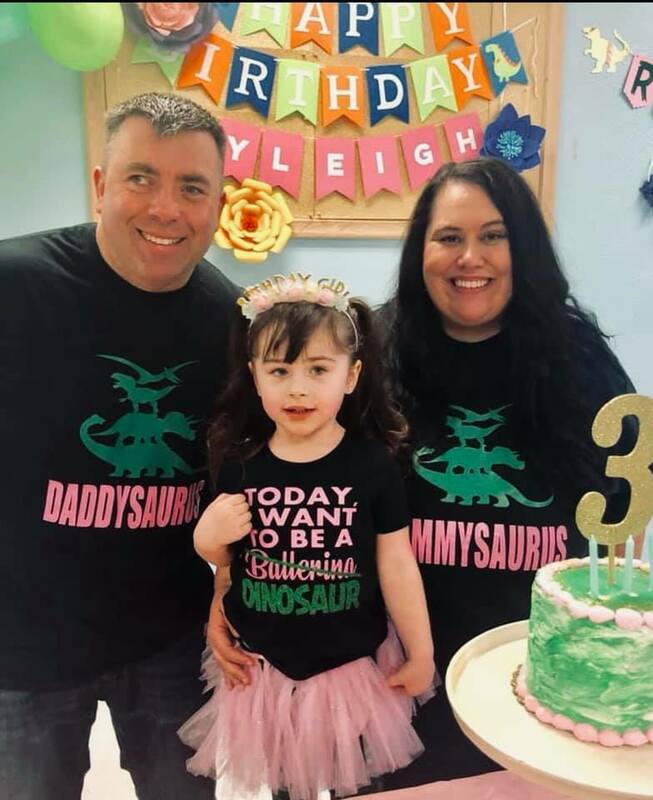 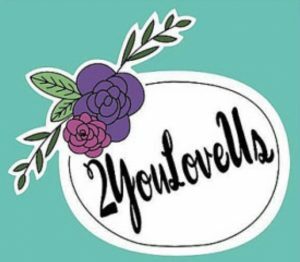 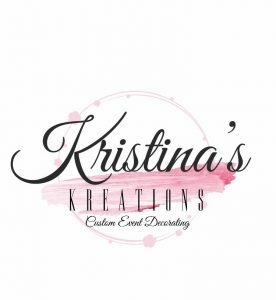 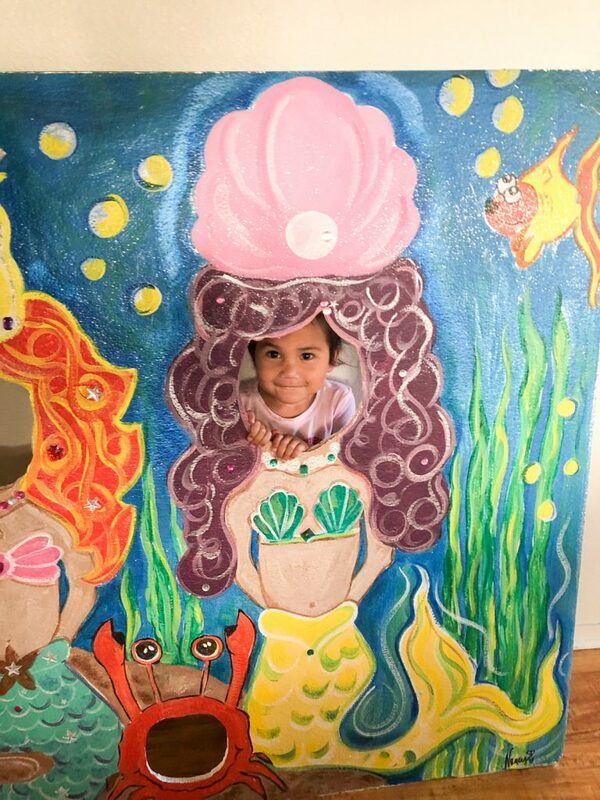 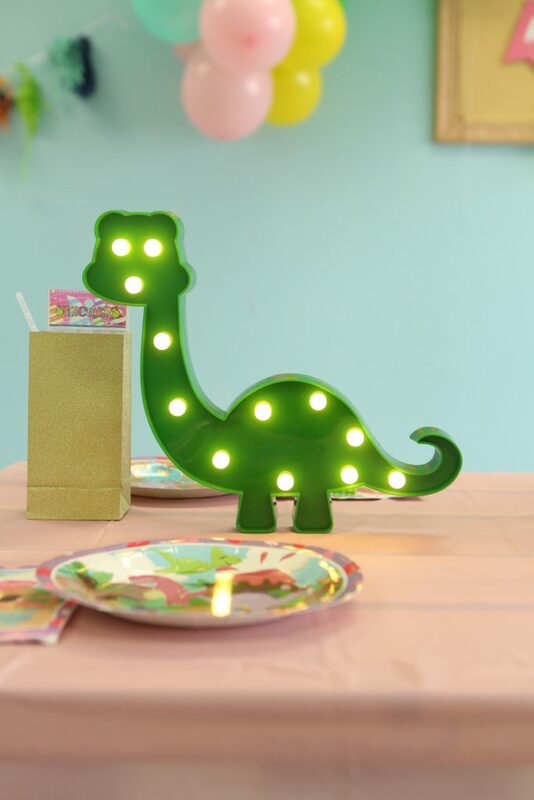 Another amazing party in the books and we can’t wait to be creative with another.